If you always wanted the Exposé effect on your Ubuntu Desktop, here you go! Active corners, known from Mac as Exposé, allow you e.g. to see all your open windows at once just by one mouse move into the corner of the desktop. Very useful if you are a multi-tasking god or goddess! 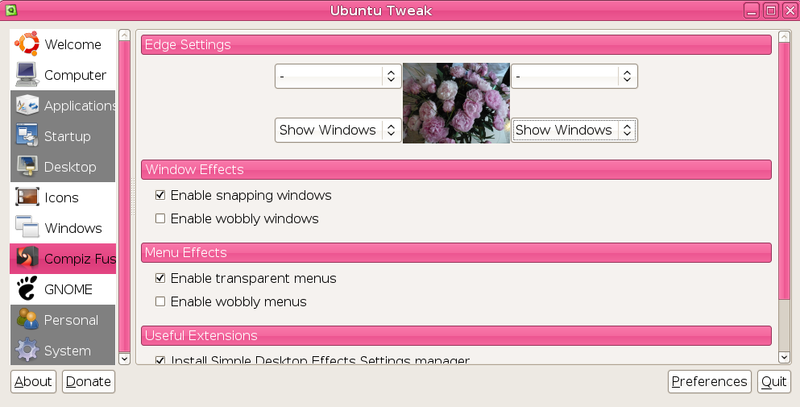 Before using Ubuntu-Tweak, make sure you enabled visual effects for your desktop. 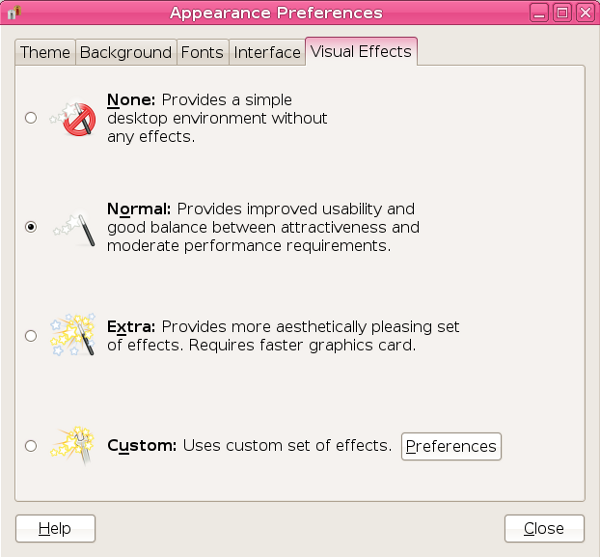 Go to System/Preferences/Appearance an check under Visual Effects "Normal". Now you can enable a function for every corner, as you like. That's it. Good job! It may be helpful in the process of studying ubuntu so I’ve scrape it using scrapebook(firefox addon). Can you recommend any books about ubuntu for me? yeah, I am a noob of ubuntu. 😀 thanks in advance!